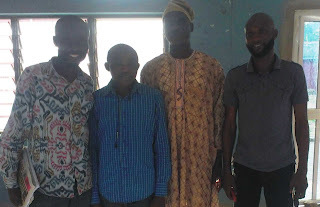 The Osun State chapter of the Association of Nigerian Authors (ANA) has inaugurated a four-man committee to handle the issues of teen authorship in the state, reports ITRealms. The committee headed by Mr. Tunji Adepoju was set up with the aim of giving young writers the opportunity of enjoying the mentorship from established writers, in addition to having their writings published and read by their mates and others at the young age. The four-man committee, ITRealms gathered, include Mr. Bunyamin Zakariyah, Bada Yusuf and Mr. Adelowo Quadri as members.